In a field of over 400 applicant organisations from around the continent, LivelyHoods has made the Shortlist of the Pan African Awards for Entrepreneurship in Education 2016. The Awards exist as a way to celebrate leading organisations addressing a specific problem through innovation, sustainability and entrepreneurship. According to the United Nations Department of Social and Economic Affairs whilst populations across the world are stabilizing in size both Africa and Asia are in the midst of substantial changes in size of their youth populations. By 2030 it is predicted that the number of youth in Africa will have increased by 42%. According to the same report many of these countries experiencing rapid growth amongst their youth are at risk of ever increasing youth unemployment. It is against this backdrop and with empowering young people to be agents of progress and entrepreneurship in mind that the Pan African Awards for Entrepreneurship in Education exists. “Before I wasn’t able to provide for myself and I had no opportunities – I know I would have fallen into crime or drugs, but iSmart provided an alternative, and has allowed me to learn about sales and marketing and earn an income from it. I’m away from those bad influences thanks to iSmart”. Brian, 21, Nairobi. LivelyHoods is leading the way in Africa with an innovative and sustainable approach to education and entrepreneurship, by providing youth and women in slums with an opportunity to earn and to learn, through sales. 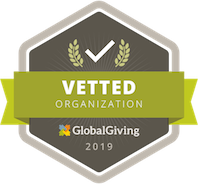 LivelyHoods created iSmart Kenya, a non-profit social enterprise that creates vocational training and livelihood opportunities for young people, regardless of their education or experience, through last-mile distribution of life-changing products. We bridge the gap between ‘rote learning’ in the national school system, which does not adequately prepare young people for employment, and the decision making, creativity, and confidence that they need to succeed in today’s job market. We provide opportunities for youth to learn and experience the value of thinking outside the box, entrepreneurship, clear communications, and business skills. To contact LivelyHoods, write to Tania@livelyhoods.org, visit our website: livelyhoods.org, or follow us on social media. 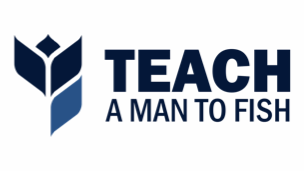 Teach A Man To Fish aims to eradicate poverty by providing good quality, low-cost, relevant education to young people in developing countries. We support schools to establish school-based enterprises - from eggs to grain storage, crafts to a hotel. These enterprises serve both as learning platforms, and as income-generating activities for the school, as students work on the businesses alongside their academic education. In this way, students learn valuable business and entrepreneurial skills and the school has the ability to raise additional funds in a sustainable way. The student’s involvement in the businesses makes their education more relevant to the workplace and means graduates leave school better prepared to succeed in work, in further education and in life.